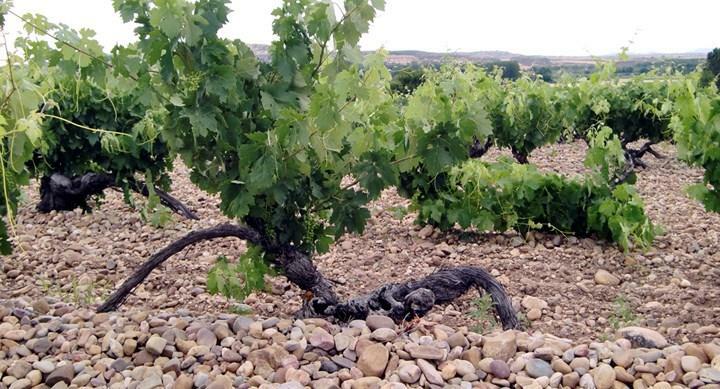 "Over the past quarter century, Ribera del Duero has become arguably the most successful wine region of Spain. Yet, some of its finest wines are yet to be made. The reason is simple: many of the best terroirs and oldest vines are in the remote eastern part of the region--the province of Soría--which is still largely unexplored by today's winemakers. In fact, if it weren't for a young French winemaker, Bertrand Sourdais, Soría might still be unknown. Bertrand first brought Soría to light with his pioneering wines at Atauta, a village within the province. But when Atauta was sold in 2009 during Spain's economic downturn, his gaze shifted to his family's Chinon estate in France's Loire Valley. Yet the pull of Soría remained strong and he soon returned to the region to make a new wine which--like all of his work at Atauta--would be full of the soul of ancient-vine Tinto Fino. And so, Antidoto was born. As at Atauta, his goal is to capture the essence of this singular region. And he will do so by sourcing from the best vineyard sites--many of which date from the time before Phylloxera--and by ultimately managing the viticulture himself. Wherever possible, he will employ organic and, where possible, biodynamic methods. As for Antidoto's intriguing name--Spanish for "antidote"--it has a particular meaning for Bertrand in the wake of Atauta's sale. But the wine also serves as an antidote to the many Ribera del Duero wines that substitute heavy-handed winemaking for a sense of place and variety. And at a relatively modest price point, it is surely an antidote to high wine prices in the appellation. Bertrand poetically describes the Soría zone as "sitting on the rooftop of Ribera," where temperatures are cooler than in the rest of Ribera del Duero. There are numerous soil types, but most of them have two things in common: their poverty and an abundance of sand that has kept Phylloxera away for the past 150 years. As a consequence this is one of the largest concentrations of ungrafted vines in Europe. To Bertrand's mind, the Soría sub-zone offers a transitional wine type that can--in the right hands--blend Rioja's fragrance and finesse with Ribera del Duero's traditional power and depth. He is using long, gentle macerations to minimize tannin extraction and no new barrels are employed for aging. The immediate goal is a wine with balance, perfume, and complete tannins. With its low price, Antidoto promises to quickly make its mark as the bargain among serious Ribera del Duero offerings. And Bertrand's launching of the wine could not have been better timed, taking advantage of two great vintages in 2009 and 2010. Antidoto is an extraordinary wine--and extraordinary value--in today's marketplace." James Suckling 93"This is really minerally with lots of purple fruits and hot stone undertones. Medium to full body, fine grained tannins and a long finish. So drinkable and polished."